The waiting is over, the Entz is offically being dispatched to our local dealers. The Entz was born out of a desire to add a deluxe, low step in frame model to the A2B range. 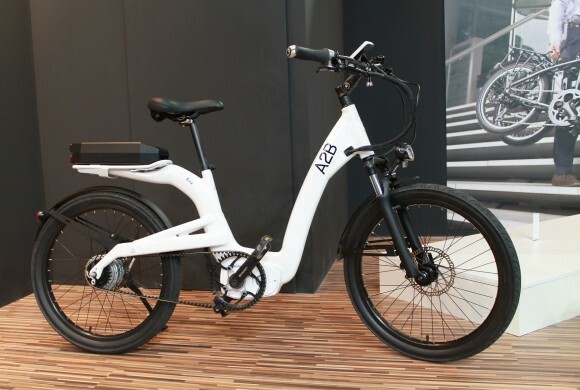 The top of the range Entz is a stunningly designed ebike. The model combines the best pedal assist support and smoothest riding experience with a highly appealing look. The Entz’s 250w centre drive motor from Continental is the latest, state of the art technology and delivers up to 60 Nm of torque to propel you from a standing start and will help you navigate the hills between you and your destination. The riding experience on any terrain is the smoothest mix of power and assistance of all the A2B range, no matter the journey ahead. With 4,464 hours of passionately obsessive design, your valuable input and of course our technical teams state of the art mechanics the Entz is the perfect offering for sitting at the very top of our range. After extensive product research, and competitor analysis we are placing the Entz in the market at a very competitive RRP, your local sales manager will be in touch shortly to discuss pricing further.